The secret’s no longer a secret — resorts at which attendees can play golf and indulge at a spa attract a lot of attendees. And these attendees generally have very productive meetings. It’s not hard to figure out why. Resorts with a wide variety of excellent recreational — and indulgent! — facilities are more exciting and more stimulating to attendees. And you don’t have to be a meeting planner to know that attendees who are excited and stimulated are also more productive … not only at the meetings, but also after they get back to the office. 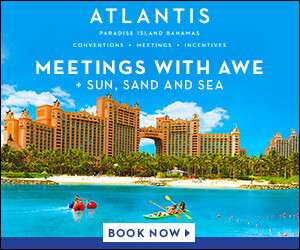 Not only that, but the shared activities experienced by attendees at these resorts generally stimulates more networking and better working relationships, as well. 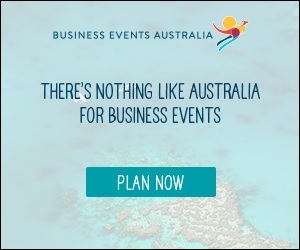 We don’t have to tell you about the amount of great business ideas, for example, generated on golf courses. Happily for planners, there are first-class golf and spa resorts all over America with first-class meeting spaces, too. And here are some of the best. 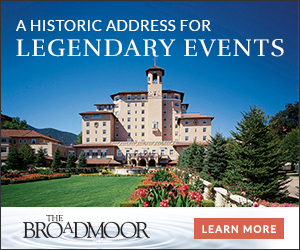 The Broadmoor Resort, a Medieval Italianate palace in the heart of the West, celebrated its 100th anniversary last year. With 784 guest rooms and 185,000 square feet, it hosts meetings of all sizes. In addition, with a dozen restaurants (including The Penrose Room, Colorado’s only Four-Star restaurant), some two-dozen shops, a world-class spa, a beautiful lake on which you can row or pedal or just relax, three championship golf courses, plus Cheyenne Mountain and Pike’s Peak right outside your window, attendees don’t need to go offsite for fun. And in a setting like this, inspiration is guaranteed. Teambuilding is guaranteed, too. The resort’s “Soaring Adventure” takes attendees above the thunderous Seven Falls, where they navigate bridges of rope, rappel down a cliff and fly on zip lines offering stunning views of the canyon below. The golf courses were all designed by legendary names and take advantage of the beauty of the Rockies. Several prestigious tournaments are held here every year, and there’s an excellent golf school and pro shop. The Spa at The Broadmoor, which has a Forbes Five-Star rating, has 40 treatment rooms and innovative therapies offering wellness and restorative treatments in an ambience of natural serenity. Attendees can also take the Cog Railway on a 14,110-foot, 45-minute trip to the top of Pike’s Peak, with dramatic views of gorges, ridges and valleys. The view from the top is even better … you can see into seven states. 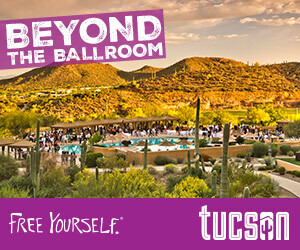 Founded in 1979 as a trailblazing luxury resort, Canyon Ranch Tucson redefined health by unifying mind, body and spirit. Nestled in the foothills of Tucson’s Santa Catalina Mountains, the 150-acre property features 166 well-appointed guest rooms, 10,590 square feet of meeting space and world-renowned facilities, including Health + Healing, Life Enhancement and Spiritual Wellness Centers. There are fitness studios and gyms, a full-service 80,000-square-foot spa, aquatic complex, outdoor trails and a high ropes challenge course. Canyon Ranch also offers innovative and healthy culinary options with daily cooking demonstrations and workshops. Each day, meeting attendees can choose from more than 40 complimentary fitness classes and guided outdoor activities, plus nearly 200 wellness and spa services, including Classic Massage, Eastern Therapies, Ayurvedic Body Treatments, Restorative Body Scrubs and Wraps, Therapeutic Rituals, Replenishing Facials and Body Care treatments. A private outing with a Canyon Ranch chef to a local farmer’s market or specialty grocery store for tips on selecting the best fresh ingredients, followed by a cooking demo and private lunch featuring the ingredients gathered at the market. An afternoon with a Canyon Ranch exercise physiologist. The program can be tailored for topics such as “Exercise: The Fountain of Youth” or “Chasing Your Athletic Dreams at Any Age.” Cycling enthusiasts in the group? Plan an exclusive ride, suitable for all levels. Golf the Canyon Ranch way. Work with a PGA pro in the 3,400-square-foot Golf Performance Center, featuring video-enhanced instruction technology: V-1 Video Capture Analysis, Balance Force Plates, Computerized Swing Analyzer. Unleash the power of creativity. Arrange a painting or drawing class for novices and seasoned artists alike in magnificent local settings. This island resort just off the southern Georgia coast has been one of America’s most luxurious hideaways since 1928. Here, the pleasures are simple but beautiful … in the refreshing sea breezes, in the lush greenery, in the lapping of the waves onto the shore. Sea Island has superb golf, spa and meeting facilities. In fact, it’s the only resort in the world to have won four Forbes Five-Star designations for 10 consecutive years. Sea Island features five miles of private beach, a Beach Club, tennis and squash centers, Yacht Club and Shooting School. The Georgian Room restaurant is one of the best in the South, and there are six other dining venues and a market. This is also among the great golf resorts in the country. The Seaside and Retreat Course are longtime favorites of attendees, and the Plantation Course, home of the PGA Tour’s RSM Classic, will reopen this fall after an extensive redesign. Meeting attendees can hone their game at the Golf Performance Center. The sights, sounds and aromas of The Spa will have guests shedding the stresses of the outside world the moment they walk in. There’s also a shop with all the spa’s products. With 390 guest rooms and 40,000 square feet, Sea Island can certainly accommodate most meetings. Just outside las Vegas, M Spa & Casino has 390 guest rooms and 92,000 square feet of meeting spaces with floor-to-ceiling windows offering great views. The M physical plant is nothing if not versatile, with meeting spaces in some interesting (and interestingly named) non-traditional venues, such as the Hostile Grape Wine Cellar. Forbes Four-Star Spa Mio has 16 treatment rooms, a sauna, steam room and hot tub, as well as a salon. It’s the perfect place to work out any after-meeting kinks or stiffness. And for a more strenuous workout, there’s a state-of-the-art fitness center. Attendees can hone their golf game here, at the innovative Topgolf Swing Suite. There’s a large simulation screen with creative golf challenges; for example, “play” some of the top courses in the world, among them St. Andrews, Gleneagles and Pebble Beach. Or, perfect your slapshot in the hockey game. Or pitch in a baseball game … against a team of zombies. In addition, the Swing Suite is sometimes used as an offsite venue. Located in southeastern Wisconsin, Lake Geneva is often called one of the most beautiful spots in the Midwest, a crystal-clear lake surrounded by forest that turns into a kaleidoscope of brilliant hues every autumn. It was first discovered by Chicago families such as the Maytags, Wards, Sears and Wrigleys in the late 1800s, and they built magnificent summer mansions there. Today, there’s a resort that these folks would have liked. This resort, too, is known for both golf and its spa. The Grand Geneva boasts two beautifully manicured courses, in which the natural beauty of the area plays a big part. In fact, the appropriately named “Brute” course, at more than 7,000 yards, is considered one of the most challenging in the Midwest. The full-service WELL Spa & Salon has a varied menu of services and a reputation for excellence. The fitness center has top-quality equipment and extras such as a large pool and a basketball court. There are classes in tennis, pickleball … and even rock-climbing. Meetings? Grand Geneva Resort & Spa has 609 guest rooms, 62,000 square feet of meeting space and a multilingual staff. And if you’re meeting in summer, take your group out on one of the Old-Time sightseeing boats plying the lake, past the mansions of the great Chicago families. Joe Petrelli is president of Demotech, a Dublin, Ohio, company that’s involved in financial analyses for insurance companies. He brought 250 C-suite insurance executives from all over the country to the Grand Geneva last July for the company’s 2018 Super Regional Conference. “The Grand Geneva meets all of our basic requirements,” Petrelli says. “The resort’s only 90 minutes from O’Hare airport, so it’s accessible from anywhere in the country. They have good spaces for the number of attendees we bring … spaces that enhance networking opportunities. They have great golf. And the scenery is just beautiful. Naples is one of the swankiest towns in America. Accordingly, it’s not surprising that there are actually two Ritz-Carltons here: The Ritz-Carlton Naples and The Ritz-Carlton Golf Resort, Naples. The golf resort has the typical amenities associated with this brand: 295 luxurious guest rooms, beautifully landscaped and manicured grounds, great views, a fitness center with personal training experts, a well-equipped golf shop, tennis courts and a designated “Florida Green” lodging status. There are four gourmet eateries and one to-go market. Enjoy dinner or drinks at an outside fire pit or unwind with any number of relaxing, refreshing massage treatments at the spa. There are 16,500 square feet of meeting spaces, 11 breakout rooms — five of which offer covered terraces with spectacular views of the Tiburon Golf Club — and all of which have the latest fiber-optic technology for video conferencing. Looking for a place where Mother Nature pops out in vivid technicolor? This resort is it. Attendees invariably find themselves going outside just to take it all in … the mountain air, the snowcapped peaks, the alpine lake and the swirls of constellations against the nighttime sky. The Hyatt Regency Lake Tahoe Resort, Spa and Casino sits right on the lake and is surrounded by forest on the other three sides. There are no other hotels — or anything else — close to it; meaning attendees will probably remain on the premises, which facilitates networking opportunities. 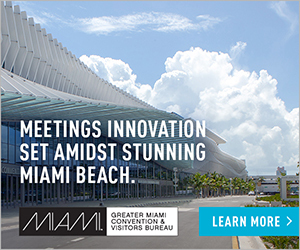 There are 422 guest rooms and a 50,000-square-foot conference center, along with outdoor spaces ranging from a beach to water-gardens to a dock. The Stillwater Spa & Salon offers 16 treatment rooms, including two couple’s sanctuaries, one with a fireplace and the other with an infinity tub. “We found the setting inspirational for our attendees, resulting in a very productive meeting,” says Dan Bolton, director of conferences and events for Riskalyze, an Auburn, California, technology company servicing the financial sector. 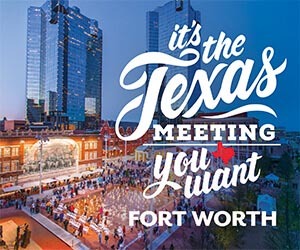 Bolton brought 500 attendees from 45 states and three countries to the Hyatt Regency in September 2017 for the company’s annual Fearless Investing Summit. Just outside Branson, Missouri, in the beautiful Ozark Mountains of southwestern Missouri, sits a “country” lodge considered one of the best wilderness resorts in America. Accommodations here range from rustic log cabins in the woods to grand lodges with dramatic views of Table Rock Lake. The Grandview Conference Center does, indeed, offer grand views, along with 21,308 square feet of meeting space and a rustic-elegant Great Room with floor-to-ceiling windows showing off those views. In all, Big Cedar has 260 guest rooms. Attendees will never be bored here; there’s a fitness center, ski school, boat rides, fishing guides, horseback riding, hiking, a shooting range and a beautiful sightseeing boat for lake cruises. There are also more than 20 teambuilding activities available, ranging from chili-cookoffs to team-rodeos to scavenger hunts. There are four golf courses here, designed by legends like Jack Nicklaus and Tony Fazio, and set amidst lakes, hills and forest. There are also teambuilding and group options in golf. Need to work out the kinks after golfing? The Cedar Creek Spa is 18,000 square feet of world-class “ahhhhhhh” in a building with hand-hewn timber ceilings and natural stone floors. At this serene lodge (part of Ohio State Parks) just outside Toledo, your meeting can take place abutting the majesty of Lake Erie. And what better way for attendees to unwind after the meeting than taking a walk on the tree-lined pathway alongside the lake? The Maumee Bay Golf Course incorporates wetlands and follows the coast, and has been featured in several national golf magazines. It was designed like traditional Scottish links, and the 14th hole is the most challenging because of its twisting layout and its water hazards. There’s a fitness center, miles of hiking and biking paths with beautiful scenery (and deer), a wildlife refuge and a two-mile boardwalk over the wetlands. There are also around 15 group activities available, along with five “group courses” involving activities, such as geocaching and scavenger hunts. Maumee Bay has 144 guest rooms and 9,000 square feet of meeting space. This authentic New Mexico inn has been recognized by Condé Nast Traveler as one of their Readers’ Choice Top 10 Hotels in the Southwest and West. The well-appointed guest rooms are adobe-style, drawing inspiration from the thousand-year-old Taos Pueblo settlement. Located downtown, the Inn and Spa at Loretto is home to a restaurant serving authentic New Mexico specialties, a year-round heated garden pool and a number of onsite boutiques and galleries. The historic Loretto Chapel next-door contains the “Miraculous Staircase” — with no visible supports — built in the 1880s by an anonymous craftsman whom the nuns believed had been sent by St. Joseph. The Inn’s proximity to the historic Santa Fe Plaza gives attendees easy access to world-class museums, boutiques, galleries, restaurants, outdoor performances, Indian art markets (the term “Indian” is still used in New Mexico … including by the Indians) and seasonal events. The award-winning Nidah Spa features a range of treatments and its own proprietary aromatherapy blends, in a relaxing, traditional Southwestern ambience. The 12,000 square feet of meeting space is high-tech. There are in-house meetings and catering teams, and the 136 guest rooms are bursting with color and New Mexican art pieces. Now designated an “Official Hotel of the PGA Tour,” this resort, just north of San Diego, also has an award-winning spa. And with more than 600 guest rooms and 100,000 square feet of indoor/outdoor spaces, it can host large groups. There are eight swimming pools in this white, Mediterranean-style resort, along with 17 tennis courts, five eateries and a market. The full-service spa is considered world-class and offers imaginative treatments like Citrus Rain and Coastal Stone, as well as a salon. Both the Champions Course and the Legends Course are known for two things — natural beauty and challenging golf. There’s even a robotic swing-trainer called RoboGolfPro that can help get the kink out of your swing. La Costa has won honors in magazines such as Golf Week, Golf Digest and Golf Magazine, and it’s very experienced at hosting golf tournaments … and arranging corporate ones. Ocean Reef, a private club at the northernmost tip of Key Largo, has the distinction of having two championship 18-hole golf courses — a rarity in the Florida Keys. The Hammock Course and the Dolphin Course both feature scenic views but offer a different challenge for players of all levels. The Dolphin Course is the epitome of island golf in the Keys. This 6,600-yard par-71 course allows more margin for error off the tee, with generous fairways that wind past coconut palms and mahogany trees. The Hammock Course is partially situated in a wildlife sanctuary of mangrove and tropical hardwood hammocks and contains many rare and endangered species of plants for players to observe and enjoy. This 6,100-yard par-71 ocean course has water hazards on 14 of the 18 holes, so concentration is key to a good round. Ocean Reef also offers The Academy of Golf, featuring two air-conditioned hitting bays, state-of-the-art video equipment, the latest in golf teaching computer software and a staff of fully-trained professionals. In addition, there is an award-winning pro shop that caters to all the golfing needs of members and their guests. The Golf Shop carries ladies’ and men’s apparel as well as the latest technology in golf equipment. Services also include club repair, bag storage and golf shoe re-spiking and polishing. Sitting at the foot of an alpine lake and a beautiful village both also named Coeur d’Alene, this full-service resort completed a top-to-bottom renovation last year. It offers stunning views of the lake and forested mountains from your window. And if you look outside at sunset, you’ll see the sun dropping into the horizon beyond them. The resort has 338 guest rooms and 32,000 square feet of meeting space which includes a lakeside conference center. And it has, as well, a golf course with the world’s only floating — and movable — golf green. The “Famous 14th,” sitting on a little island in Lake Coeur d’Alene, can actually be moved by computer. Access it via an antique mahogany boat … and as you do, you’ll see some of the 25,000 balls retrieved from the water every year! The resort has 11 restaurants and lounges — among them, fittingly, the world’s only floating restaurant. And The Coeur d’Alene Resort Spa brings the natural surroundings and elements inside. Attendees can hop into a seaplane for a bird’s-eye view extending into Canada. Or, they can board a sightseeing boat for a memorable sunset cruise. There are great teambuilding opportunities here, too, as the mountains are laced with beautiful trails. The town of Coeur d’Alene has gaslit-style streetlamps, interesting shops and restaurants, and Northwest-Victorian homes from the early 1900s. With 1,501 guest rooms and 524,000 square feet of meeting space, Rosen Shingle Creek can host sizable meetings … and attendees don’t have to leave the premises to dine, play or exercise. The newly renovated golf course was designed by the Arnold Palmer Design Company, and there’s a noted golf academy. There are 15 dining options ranging from Tuscan to take-out, including the award-winning steakhouse A Land Remembered. There’s a state-of-the-art fitness center to pump you up, and a beautiful spa/salon to help you calm down. Take a walk alongside Shingle Creek, which is actually the headwaters of the Everglades. Marty Streeper, president of Meeting Management Group, a Tampa-based meeting-planning/association-management company, brought more than 1,000 insurance-industry attendees here for the Windstorm Insurance Conference in January 2018. “Because of the size of our groups,” she says, “efficient, flexible spaces are important to us, and the Rosen Shingle Creek has them. We also look for hotels that lend themselves to networking, and there are so many spaces there in which you can do that. In fact, we had networking events every night.